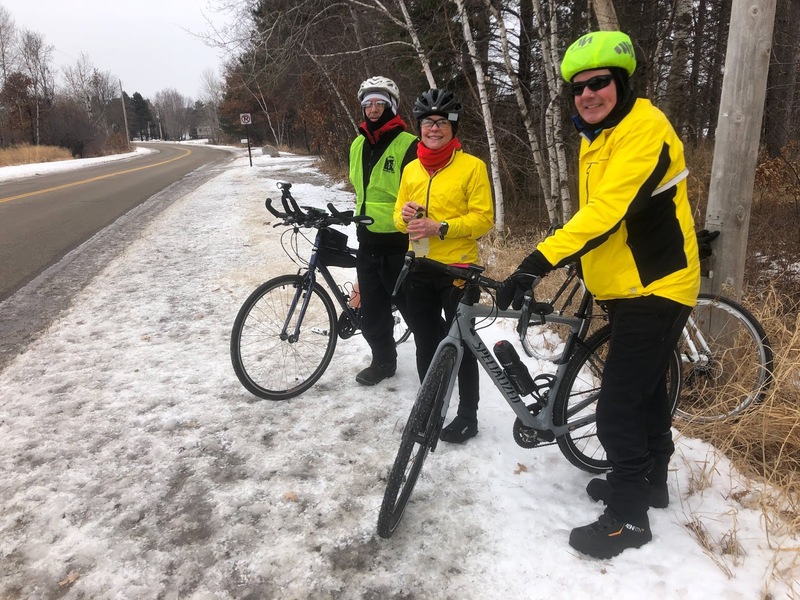 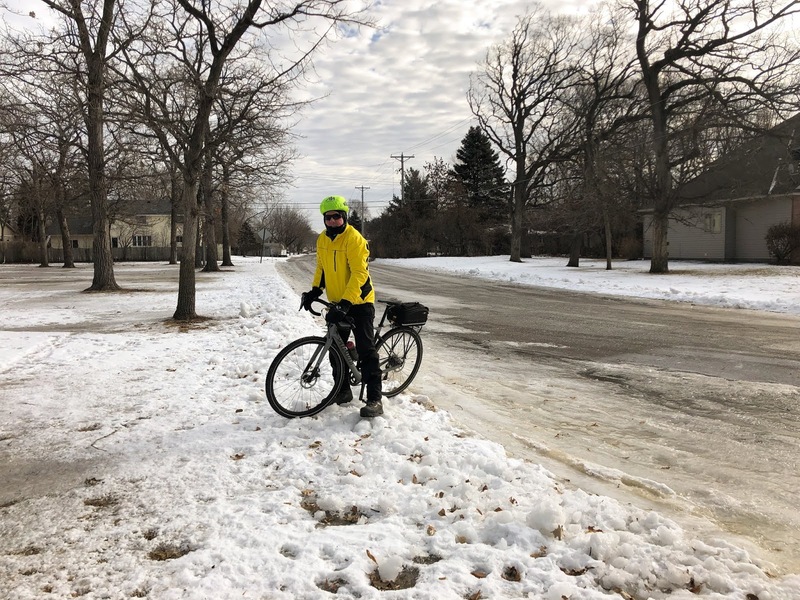 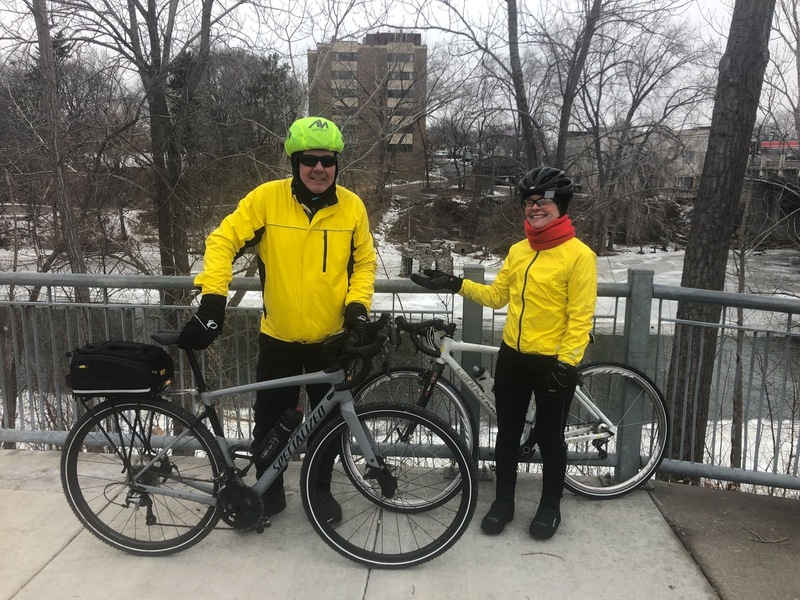 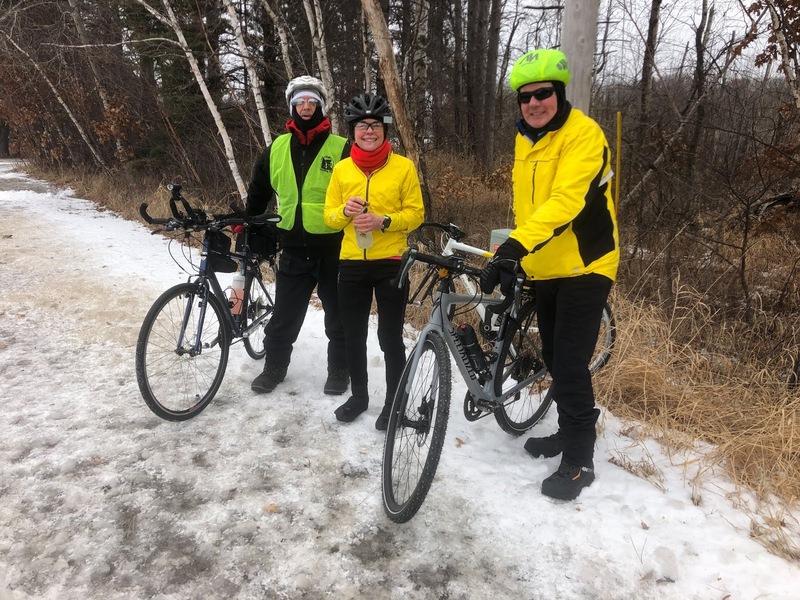 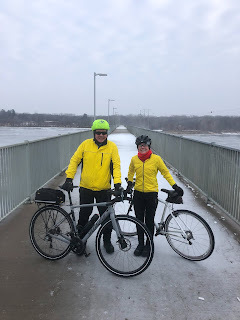 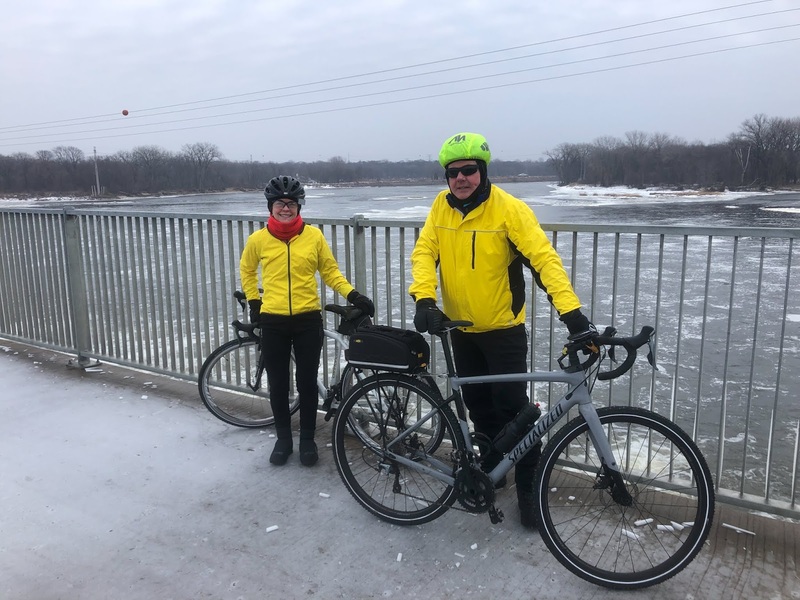 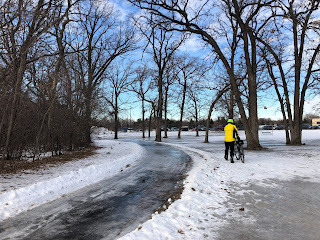 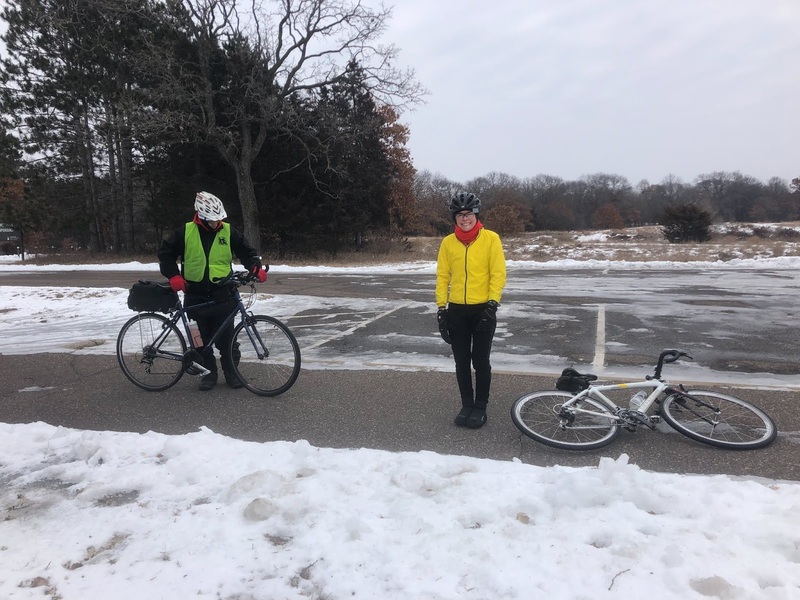 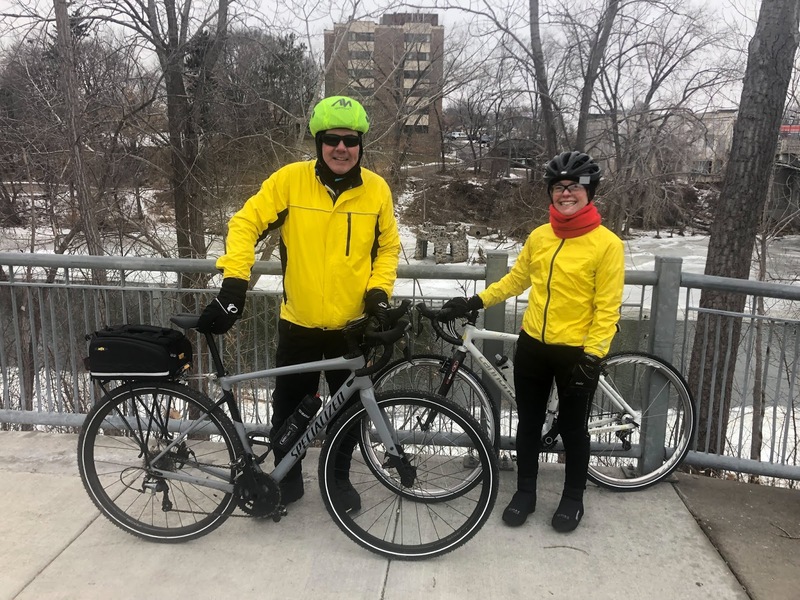 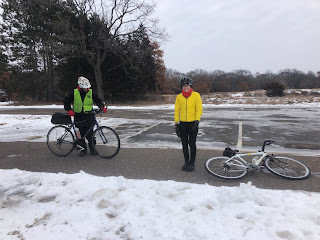 Here are some pictures from a couple TCBC (Twin Cities Bicycling Club) group rides on January 10 and 12, 2019. 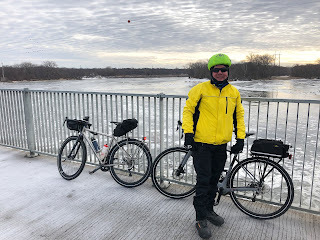 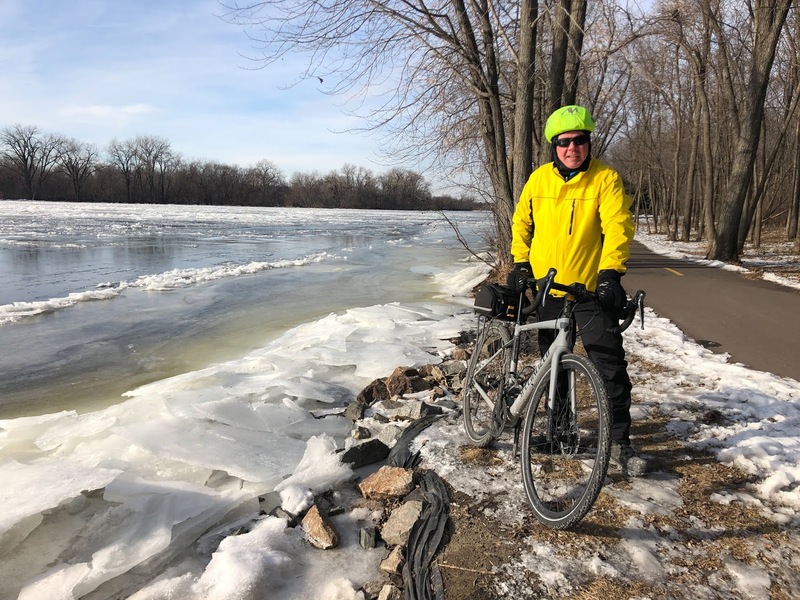 On, Thursday, 01-10-19, Chuck showed up to my Coffee Thursday bike ride from Champlin, MN. 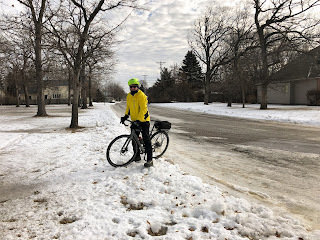 This was a 47 mile bike ride mostly in Anoka County. 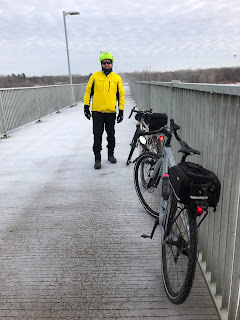 There was about 3 to 4 days of very warm weather before this ride where lots of snow melted causing more ice to form on the roads and trails when the temperature dropped again. The higher use roads were fine to ride, but we found some of the lower use roads and trails to have large areas of ice. 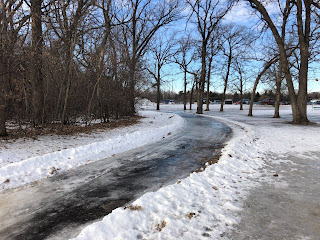 We ended up walking around some of these sections of bad ice. 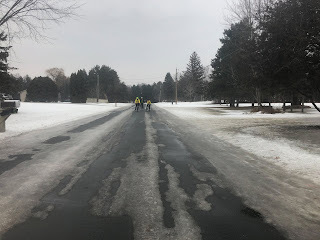 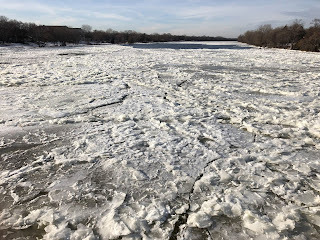 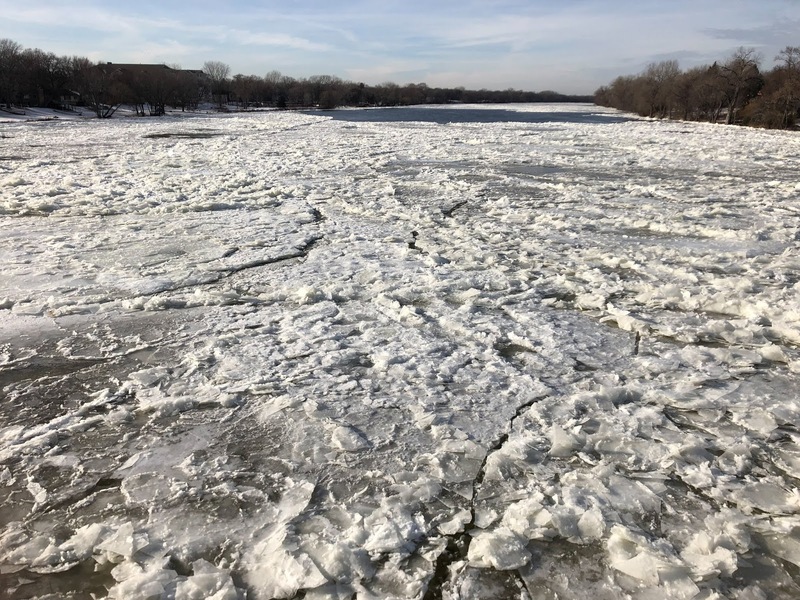 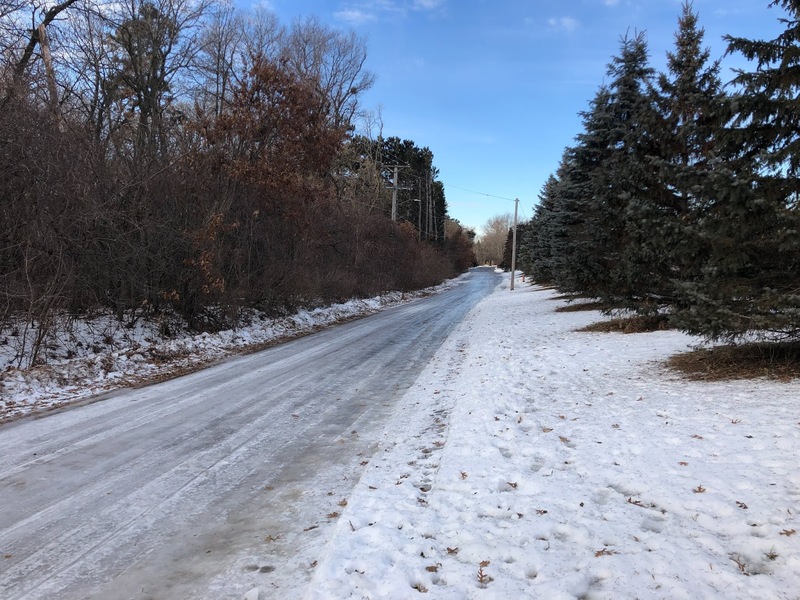 There were several section of fairly smooth ice and many areas that was rough and rutted from the snow, rain, snow, then melting from the winter storm over the holiday's. On Saturday, 01-12-19, Chuck, Liesa, Rick and I rode my, Back to the Box, bike ride. Chuck, Liesa and I rode the 53 mile loop while Rick finished the day with 33 miles. 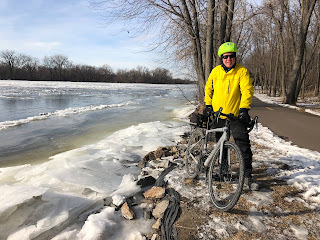 I changed up my planned route after all the ice I encountered last Thursday. We took our break in Oak Grove at the Bridge Street Coffee Box. Its one of my favorite spots to stop when I ride to the north of Champlin. 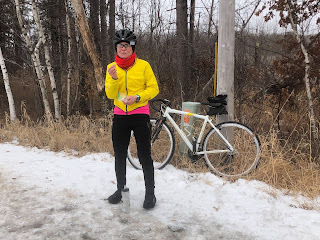 Great coffee and I usually get a bagel/breakfast sandwich which also taste great!